Ever wonder what’s down below the overlook on Dante’s Trail? Down some 80 feet? The Thursday morning trail crew has been busy constructing a trail that leads to a geologic wonder at the base of the cliff. Several master naturalists were accompanied on October 26 by retired geologist Wayne Orlowski, who talked about the limestone formations, fractures and rock layers that compose the cliff. 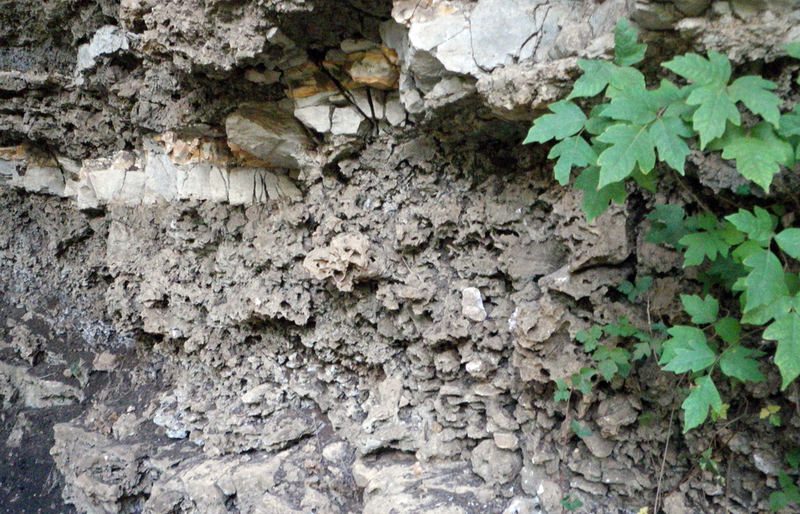 Edwards limestone and fractured rock layer above. Note poison ivy. The formation of the grotto or excavation of the rock and soil leads to several explanations. Was it formed by erosion and the power of Purgatory Creek following heavy rainfalls? Has the creek selectively erroded the grotto because the rock is more fractured at this location? Why is the rock more fractured at the grotto. Was it created over geologic time as part of the San Marcos Arch and fractures caused by earthquakes associated with movement on faults along the Balcones Fault Zone? 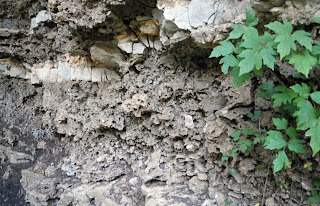 Was the rock fractured and the grotto created and localized in this spot as a result of compaction drape over a carbonate mound or a reef that lies beneath the grotto location? Is there another explanation or a combination of causes? The existence of the grotto leads to a better understanding of the ground we tread and the importance of safeguarding the fragile land that captures rainwater for later use. The distance from the Craddock Street trailhead to the Grotto is roughly 2 miles. Common sense precautions are advised when visiting the landmark. 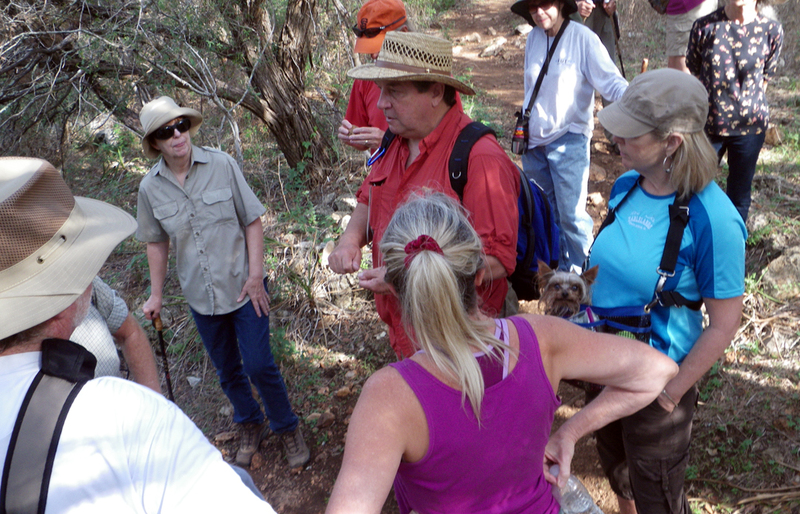 Stay on the trail to prevent erosion, no shortcuts. Travel with a partner and no climbing the rock face.